Colin Graves called the competition mediocre! Like the West Indies are! Is that what the competition needs? A good rubbishing? An England team full of experienced county T20 players have just got three balls from winning the WCT20.... but were beaten by the WI. Will the county chairmen be sending him a thank you text for his candid, forthright opinion? Arthur Crabtree wrote: Colin Graves called the competition mediocre! Like the West Indies are! Incredible really. That should get the crowds in! DBD and Denly 150 partnership in 12.3 overs! dan08 wrote: DBD and Denly 150 partnership in 12.3 overs! Kent chase down 198 with 16 balls to spare! Terrific win by Warwickshire after a brilliant debut for Sam Hain. They won despite the first 11 deliveries from Gurney and Fletcher being dot balls. Gloucestershire v Surrey last night is the first match that I can remember won by penalty runs for a slow over rate. 365notout wrote: Gloucestershire v Surrey last night is the first match that I can remember won by penalty runs for a slow over rate. I believe Essex lost in similar fashion a year or so ago. Lancs getting a pasting from Derbys. CC1 teams don't seem to carry any extra status into T20 games. See also Kent beating Somerset and Worcs beating Durham. Notice Sussex scored 242, which is the 6th highest T20 score in history. Didnt make it, but seriously? You score over 12 an over and someone gives you that as a target. 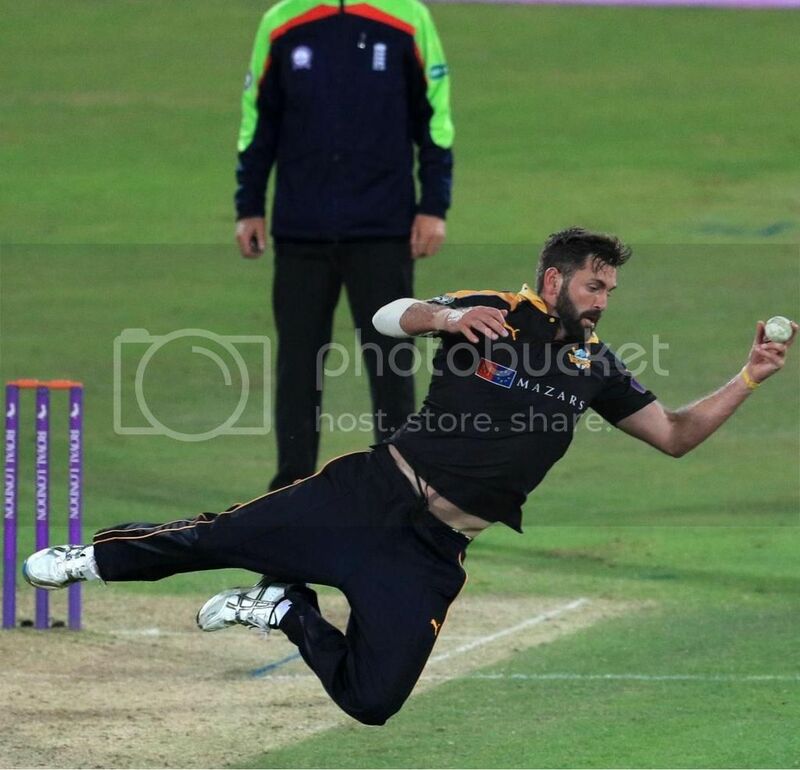 Yorkshire beat Lancashire in the 2014 Blast at Old Trafford thanks to 6 penalty runs due to Junaid Khan's leaping in mid run up. Sussex go comfortably over 200 again... batting looking extremely powerful. And Luke Wright is BACK!! TFFT!